You know how you just need a break from the day-to-day activities to relax and unwind… And how you do not want that to be in your home or anywhere you are familiar with? Yes, you do. I need a vacation, you may say, and as much as we try to shield it, most times, “vacation” screams “thousands of dollars,” which many people do not have to spare. We want to see the most beautiful places in the world, you know, but the dollar issue . But imagine if someone decides to show you that with your Naira, you can see the most beautiful places in the world, all by yourself, or with family, or even with an amazing group of people with whom you share interests? There’s no way you’re saying no to that, right? If you attended secondary school in Nigeria, you’d know that this is the job of the Social Prefect, and Nigeria has an unofficial social prefect. 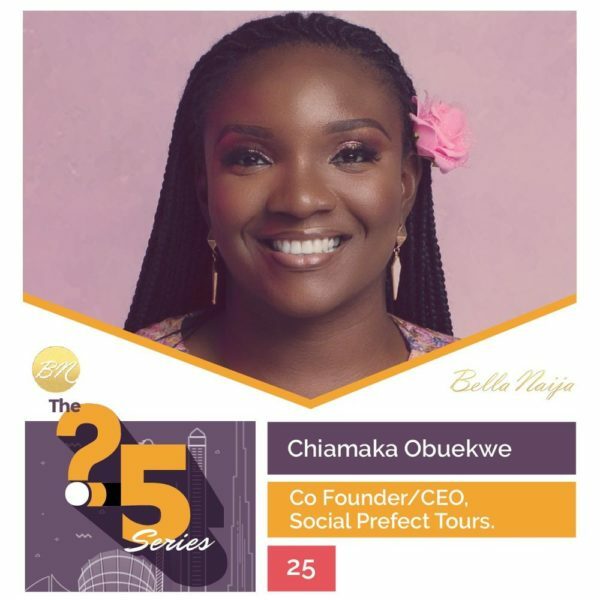 For the first feature of a new interview column on BellaNaija.com – #The25Series – we talk to Co-founder and CEO of Social Prefect Tours Chiamaka Obuekwe, a 25-year old who is showing Nigerians and non-Nigerians the most beautiful places in the country. 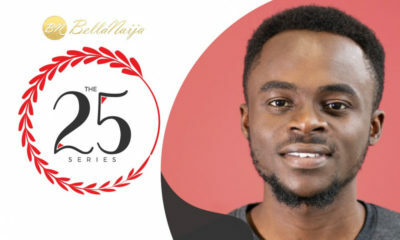 “The 25 Series” seeks to shine the spotlight on excellent young individuals under the age of 25 (at the time we had a chat with them), who are influencing and disrupting the world of Entrepreneurship, Leadership, Governance, Pop Culture, Corporate World, Arts, and Sports. With 25 questions (or less), this column seeks to dig down into how these individuals think, work and live, particularly in the era where business and relationship models are changing rapidly. She started her business mainly with social capital, except for funds she used in setting up her blog, and so far, she has gained strides, speaking at TEDx UI, Social Media Week, Handle it Africa conference, Jumia Travel Summit, Nigerian Association of Tour Operators AGM panel, and working with South African Tourism for Indaba 2017, and the Bauchi State Government for its Explore Bauchi campaign. 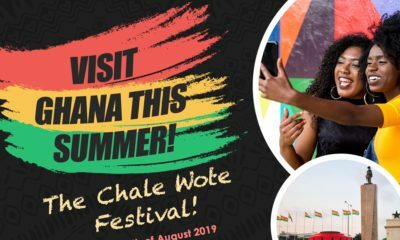 Chiamaka’s effort is also contributing to Nigeria’s Foreign Direct Investment by organising tours for several foreign groups and families who are visiting Nigeria for the first time. First: you may not always end up following your childhood dream, but as you journey through life and find the things you love to do and can do, the next thing should be that you just start! Secondly, in the age of social media, the only capital you may need to fulfill your dreams is data for internet connection. The key is to recognise opportunities, and just start. Finally, before we go on to the interview, Chiamaka got married to her beau, best friend and business partner Aniefiok Ntia over the weekend and we wish them a lifetime of love and happiness. 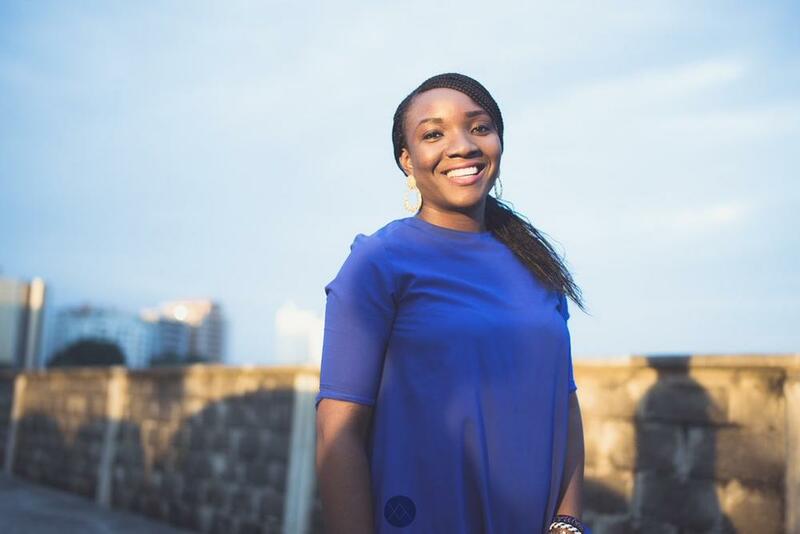 Chiamaka Obuekwe is an energetic individual who is passionate about life. 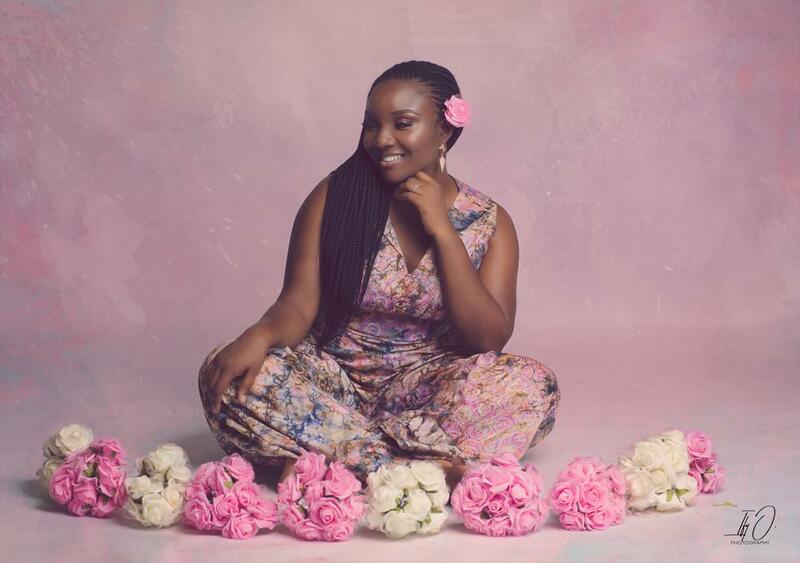 She is a travel and tourism enthusiast, travel writer, tour guide, tour operator and the founder of Social Prefect Tours. Social Prefect tours is a Nigerian tourism and experience curating company that organizes group tours, school excursions, corporate retreats, holiday packages and also offers tour guide services within Africa, especially in Nigeria to educate people about the beauty within. The company also creates packages for foreigners who come into Nigeria and take them tourism expeditions. How did Social Prefect Tours start? Social Prefect tours started in 2015. I fell in love with local tourism in 2014 and this started when we (some friends and I) took a few trips to some parts of Nigeria purely for leisure and discovered that there were lots of beautiful destinations that no one was talking about. Most Nigerians spend their holidays outside Nigeria, yet there were vacation worthy destinations and adventure spots in our own country. I was really surprised at the lack of awareness of local travel and tourism and I felt such a burning desire to share. I had always loved story-telling, because I believe it is a great way to reach people. Therefore, I started my blog just to document my experiences and tell the stories of all the places I was discovering and in this age of social media, it was not really hard for me to get an audience. People saw the pictures and videos and also read about my experiences online and many of them were fascinated because they did not know that such places existed in Nigeria. Interestingly, people started asking if they could join these trips and we saw that there was a need for local tourism, especially group tours, therefore, Social Prefect Tours was born. Have you always known or had an idea you were going to follow this career path? Did having a university education play a role in your success story today? Yes, I would say it definitely did. For me, the school I attended (Covenant University), gave me the opportunity to explore various interesting things that were outside the regular school curriculum. 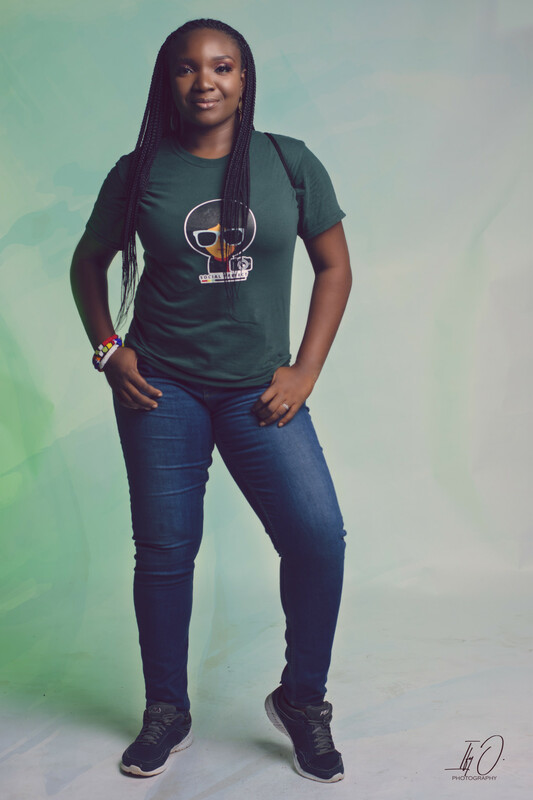 I joined the CU tour guides association and enjoyed being in that association because I learnt how to be confident and speak in front of people. We were also taught Entrepreneurship as a course in my school and various life subjects such as Purpose, Leadership, Vision, Work life, etc, so, all these definitely helped a lot. 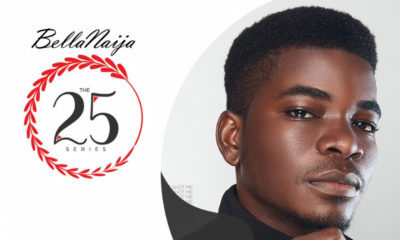 I think, even if I did not attend Covenant University where I was exposed to all those things, being in a University environment, learning and meeting lots of people from different backgrounds definitely exposes one and gives them that confidence to step out and succeed in life. My work is generally challenging; from researching and putting together the tour packages, to marketing and selling them and then organizing and coordinating the tours itself, but I love what I do and I wouldn’t trade it for any other thing. Have you ever been discriminated against because of your age? No, I haven’t really been discriminated because of my age. A lot of people don’t even know I’m 25 probably because of my size and also the things I’ve accomplished so far. However, when they know, they actually respect me more as opposed to discriminate me. The Young Lady who changed the face of Nigerian Tourism. Right now, you are sitting with me talking about your life and business. Fast forward to 50 years from now, what do you want to be doing at exactly this time? Hmm very interesting question, I want to be taking a vacation with my family at a beautiful beach resort, laughing, dancing, singing, eating and having the time of our lives. If you weren’t a Tour Guide, what else would you have been? I may have been on the journey to becoming an ambassador or a diplomat or I may have been working in an International organization like UN. Wake, Pray. Slay. Haha But really though, I wake up, pray, eat, get ready, work ( I work virtually) and most of my work is online, then spend time or communicate with my loved ones and then, on tour days, I’ll be out in the field coordinating the tours and that’s basically it. Ambassador Ikechi Uko founder of African Travel Quarterly and Tara Fela-Durotoye of House of Tara. Netflix and Chill (and Netflix and chill means Netflix and chill, literally) or Dinner Date/cuisine? You change the world by being yourself and not by trying to be someone else. Your background does not have to put your back to the ground. You can come from basic beginnings but end up being great, however, you have to work really hard and be consistent. After this first edition, the interview series will be published on the second Tuesday of every month. I really admire her,considering the fact that at her age she has accomplished this much..I hope to be like her some day and to take my country Sierra Leone to a whole new level.May God continue to give her more wisdom. Chi Chi baby!! Congrats dear. Young achiever toh bahd. I’m elated at what Chiamaka my course mates and member of tour guide has accomplished. I can only wish her success in all she does. 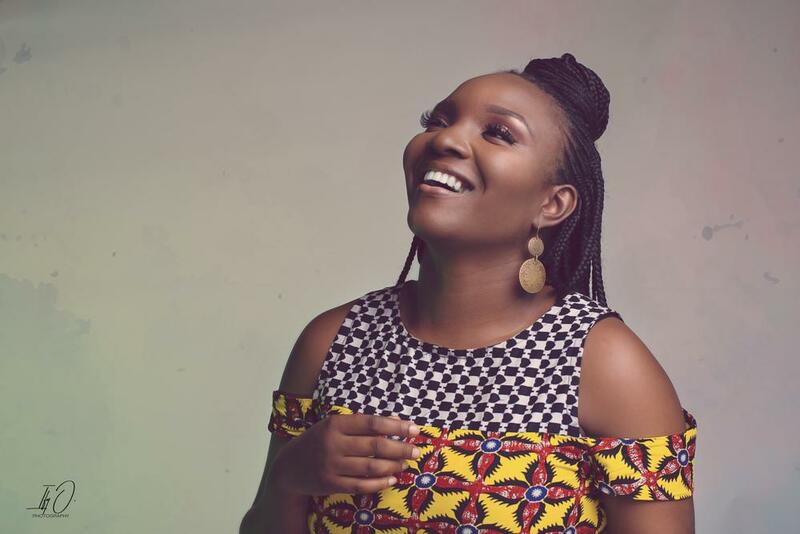 Too proud of you girlie o…from one Amaka to another, keep up the great work.